First, let me give a brief introduction of myself (don't worry, I'll keep it short!) I am a final year student pursuing my Double majors' degree in Economics and Engineering from Prestigious BITS Pilani, Pilani - India. What else? I am a Finance & Tech Enthusiast, a Photographer and a Blogger. I have been featured in college magazines to NatGeo and other Travel based social-media handles. (Also I'm a runner and long-distance cyclist, not that it matters). I'm inclined to working for Investment Banks and Venture Capitals in the Social Impact domain. But I think the question which matters to YOU the most is why should you be so magnanimous to FUND me? 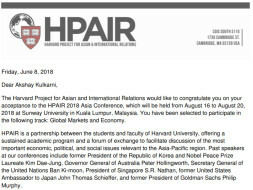 Well after a rigorous selection process, I have been selected to be one of the 600 delegates from over 40 countries of the world renowned "The Harvard Project for Asian and International Relations" Asia Conference, 2018(Kuala Lumpur) in the Global Markets and Economy track. As a future technocrat, it is incumbent on me to try to tap into rural crisis and give back to my country and across borders with my 'skills'(for instance, access to digital banking across rural India). And this perfectly falls in line with the concept that HPAIR espouses. 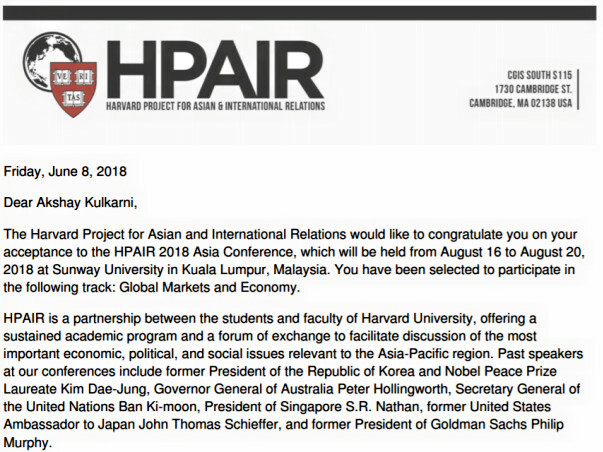 This would be an opportunity for me to share my story about my experience, understanding and how I aspire to challenge the status quo that here and propose substantial opportunities for development. 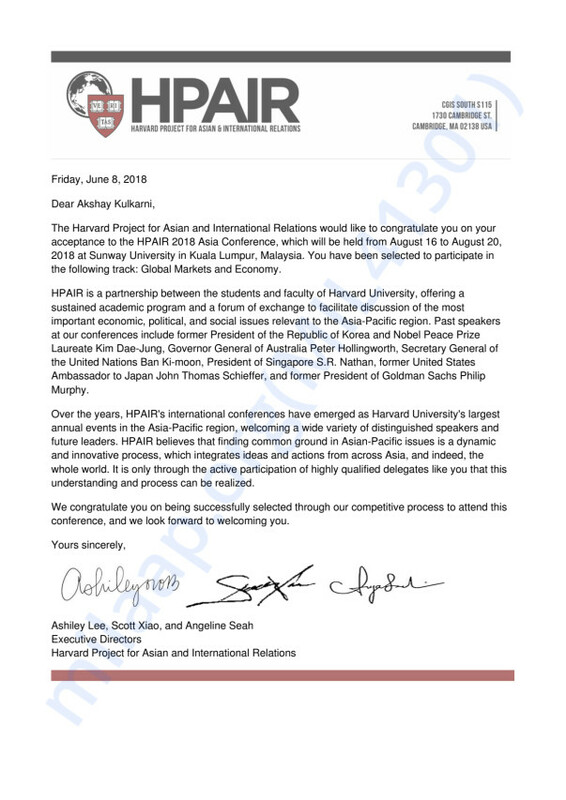 Hailing from a country which hosts the spectrum from the 21st century to centuries behind and backward, this international conference would give me an opportunity of a lifetime to transcend those prescribed limits as I move forward to become a responsible Engineer/Economics grad and teach me how to hone my skills in the most effective way possible. I would forever be grateful to you wonderful people if you could help me be a part of this one of a kind journey. The registration fees alone would cost me $475 USD, the Visa application would cost me around Rs. 1500 and the flight tickets would cost be around Rs. 20,000. Of course, there will be additional expenditures which I will try to manage on my own. Lastly, (as cliched as it might sound), I would like to say that if this trip is materialized, I shall remember you in my shout out videos and uploads right from Kuala Lumpur as a gesture of my gratitude. Hope you get this done!